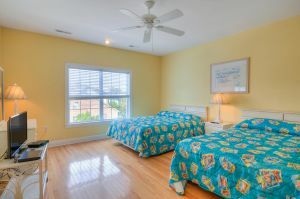 Your family, friends and golfing buddies will have a grand time chasing the sun in this phenomenal North Myrtle Beach vacation rental. 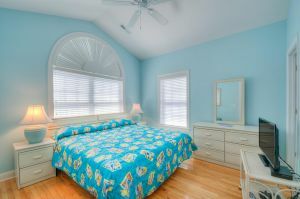 Sunchaser is a gorgeous beach house in North Myrtle Beach that is big on space and steps away from the Atlantic Ocean. 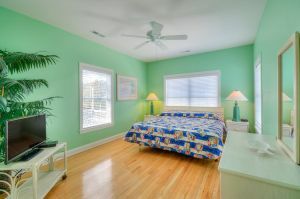 This North Myrtle Beach house has six bedrooms, six and one half baths and can accommodate 20 people. 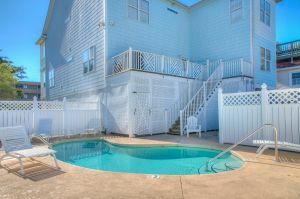 Have a reunion in this North Myrtle Beach rental. 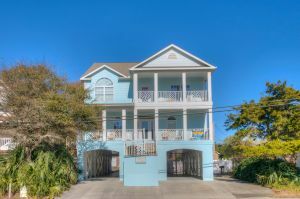 Sunchaser North Myrtle Beach house rental is a two-story beach house on stilts. 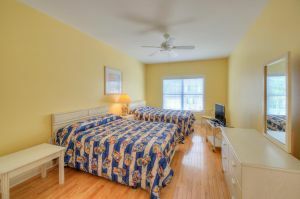 It is a second-row vacation rental across the street from the beach. 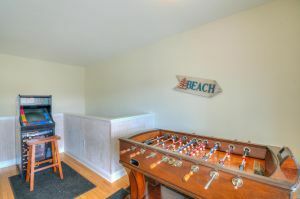 Sunchaser is overflowing with amenities. 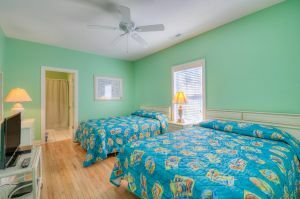 This beach house in North Myrtle Beach, SC has all the little extras that make a North Myrtle Beach vacation one to remember for years and years to come. This house has a private swimming pool (heated from Oct - April only). Lounge poolside in the privacy of your backyard. 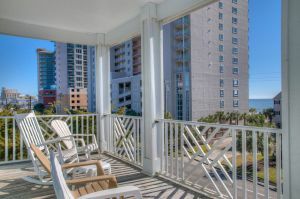 There are two levels of balconies at this North Myrtle Beach house rental and the porch is furnished so you can relax as you like. A Jacuzzi tub indoors is a nice way to relax during this North Myrtle Beach vacation. 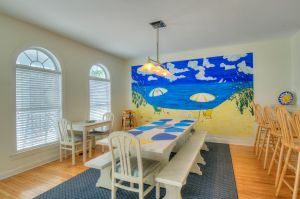 There is a large, well equipped kitchen in this North Myrtle Beach vacation rental. For your convenience, Sunchaser is equipped with a washing machine, clothes dryer. 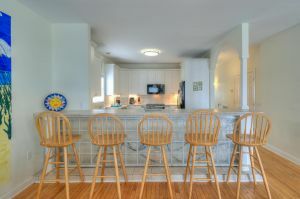 There are numerous televisions and DVD players in this beach house in North Myrtle Beach, South Carolina. From the grill to the high-speed Internet access in Sunchaser, everything you need for a wonderful time in North Myrtle Beach is at your fingertips. 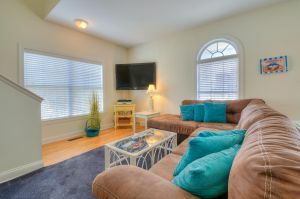 Myrtle Beach golf, restaurants with fresh seafood, live entertainment theatres with amazing productions and shopping galore is all within minutes from this fine beach house rental!